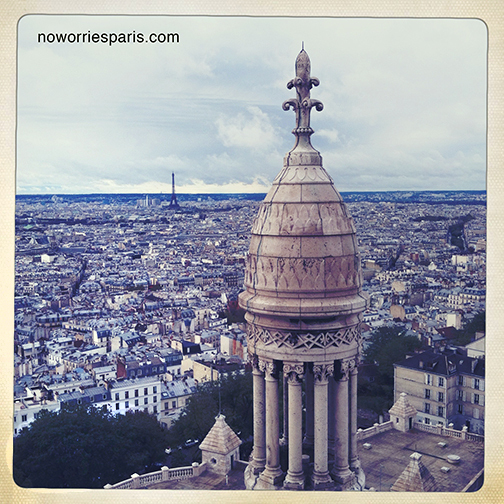 How many tourists realize they can go higher than just the terrace at Sacre Coeur? The line this morning was scant, perhaps because of the season, the wet weather, the time of day (10 am). 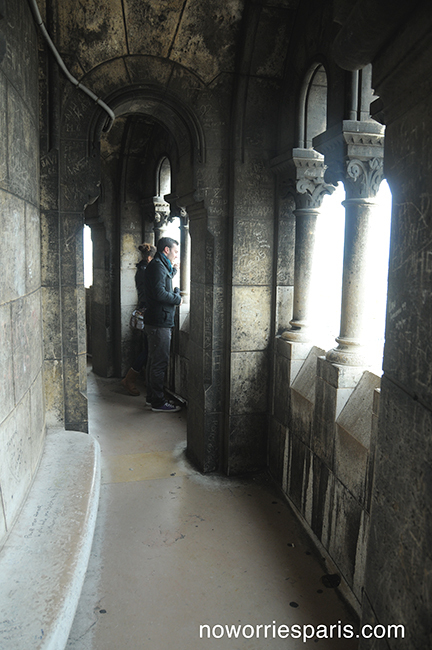 You can climb to the dome (300 steep curving claustraphobic steps) and crypt for 9 euros or choose just one for 6. The view is staggering and although the walls are scratched with messages and initials (some are love poems), it doesn’t spoil the experience. Photographers, start your engines. 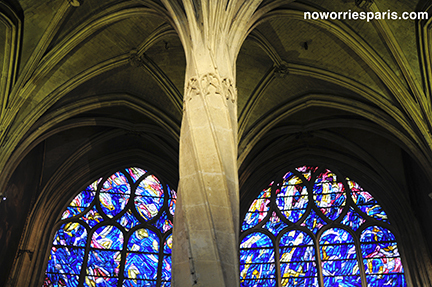 Your “No Worries Paris” guidebook will guide you to more adventures behind the Basilica. 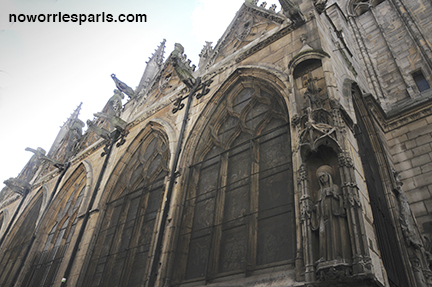 Named after Severin, a devout hermit who lived on the banks of the Seine during the fifth century. This 13th century Gothic church is moody, dark, with fine gargoyles, and dramatic flying buttresses. 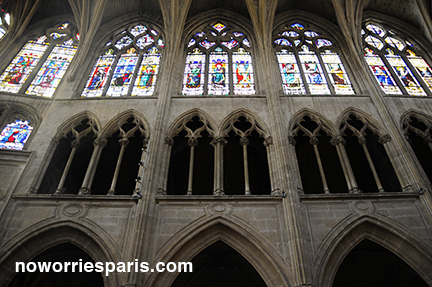 Some say one of Paris’s best kept secrets. Take advantage of the organ concerts here. It’s located in the heart of the Latin Quarter, right around the corner from Boulevard Saint Germain. 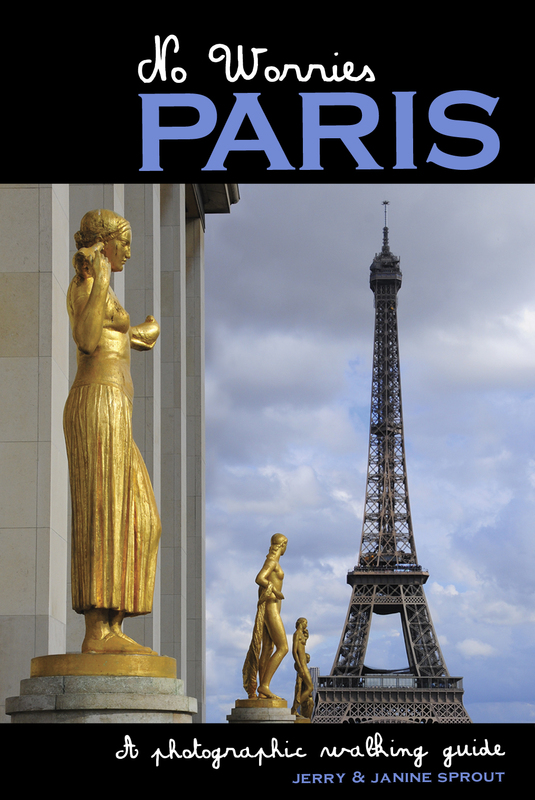 Directions in your No Worries Paris guidebook.